Many women find shopping for their boyfriends, husbands, fathers, and sons challenging under the best of circumstances. When you pair this challenge with your special guy’s love of the outdoors, you may be especially perplexed about what to buy him this Christmas. You can surprise him Christmas morning with a present that he will love and use by shopping for these three unique manly outdoors gifts today. As much as your guy loves to be in the great outdoors, he might not relish sitting on the cold, hard ground. 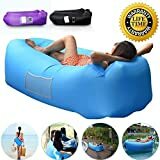 When you want him to enjoy comfort that goes beyond sitting down on a spread blanket or flimsy lawn chair, you can surprise him with an inflatable couch. 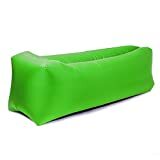 The inflatable couches designed for outdoor use are made from tough and durable PVC vinyl that resists punctures and tears. It can withstand hundreds of pounds without popping. It also provides a comfortable buoyancy that will save him from having to sit on a rocky, cold ground during a hunting or fishing trip. Because it’s inflatable it will also be fairly easy to transport and store which makes this gift even better. Inflatable couches can also be fairly affordable and priced to fit any Christmas shopping budget. They come in colors like blue and green to blend in with the environment but still be noticeable to fellow hunters and fishermen. Most outdoorsmen take great pride in their pickup trucks. Their vehicles reflect their devotion to favorite activities like hunting and fishing as well as their determination to venture out into the rugged outdoors. Their adventures could lead to their pickup beds getting scratched, dented, and dinged, however. When they get back from their fishing or hunting trip, they have to deal with an expensive body repair bill that takes some of the fun out of their adventures. When you want your special guy to have fun in the wild without worrying about damage to his pickup, you can give him the gift of truck bed rail caps. They are crafted from durable PVC and made to resist scratches, dents, and other damages. They also attach easily with automotive adhesive so they do not take off paint if or when they are removed. You can find these caps designed for all major brands, makes, and models of pickup trucks. They come in sizes for short and long beds and have a limited lifetime warranty for your outdoorsman’s peace of mind. Every outdoorsman knows to be prepared in case of disaster. Despite your guy’s best preparations, however, he might find himself without enough water to get by until he heads back home. He can stay outdoors and avoid going thirsty with a filtering straw that he receives from you this Christmas. 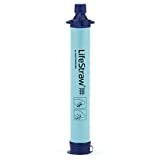 The straw has a built-in filter to remove debris and contaminants from stream and lake water. As he drinks, the straw filters the water to make it palatable and safe. The straw is priced to be affordable and is crafted from lightweight plastic and metal. It is compact in size and can fit comfortably in his back pocket or a backpack that he takes with him. It can also be put in the dishwasher to be cleaned when he returns home. Shopping for your outdoor lover’s Christmas presents no longer has to be a headache. With these gift suggestions, you can shorten your shopping list and find the right present to surprise him that morning. 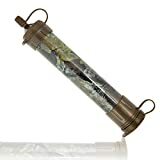 These gifts also are practical and keep him safe in the outdoors. They provide him with years of use and can fit easily within your Christmas shopping budget. Can’t afford Christmas gifts? Buy gifts now, pay later! Previous Article Time To Buy A Watch? Buy Now, Pay Later! Next Article Which Camera Bag Should I Buy? Dixie is freelance writer who gets much of her inspiration from her three young girls and wonderful husband. Kim Rowley has been blogging about money saving tips and more from the middle of nowhere (aka Nebraska) since 1998, the year her youngest of 4 was born. Please tell her she doesn't look old enough to have four grown children! Win A Pioneer Woman Instant Pot! © 2019, Key Internet Marketing, Inc.